Oil on canvas. 100cm x 100cm x 4cm. Just one male left worldwide. Northern white rhinos are under 24 hour guard. Poaching is a scourge that could wipe out decades of conservation gains made for black rhinos. 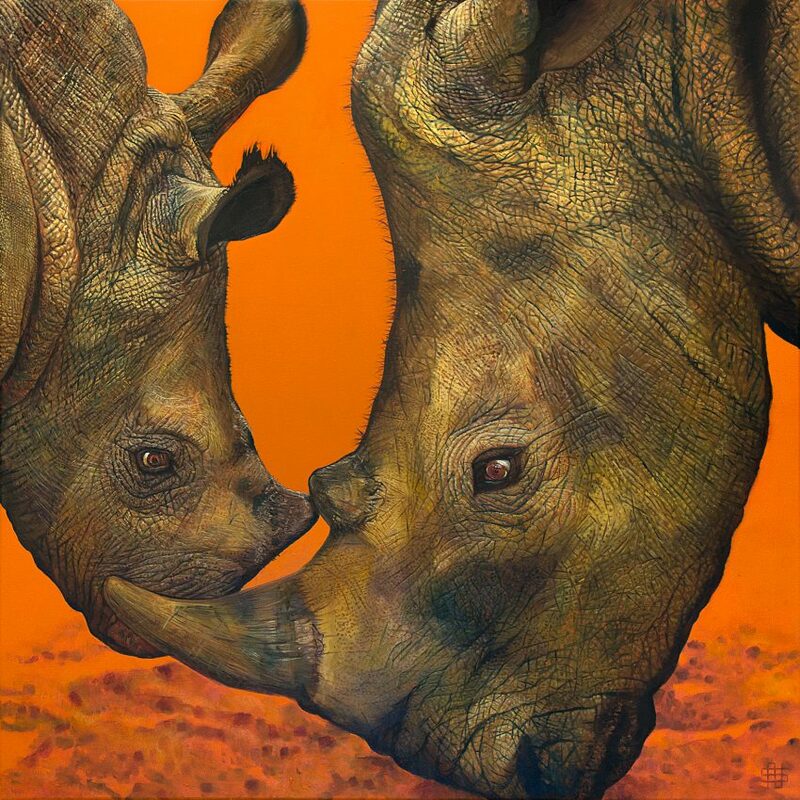 Since 2007 rhino poaching in S. Africa has increased by 8,900%.